We are located on the Algarve's west coast, 10 minutes from the charming village of Aljezur and just 4 minutes from the best beaches in the area. We highly recommend you hire a car to explore the surroundings in the most comfortable way. 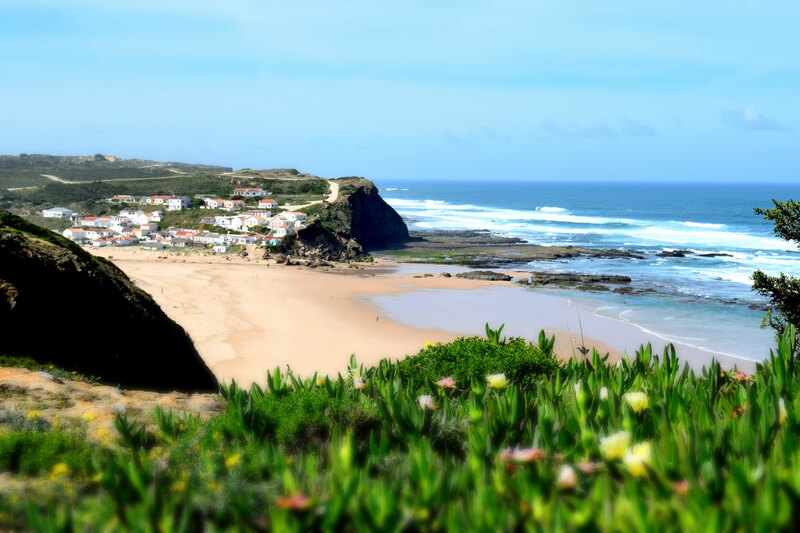 Monte Clerigo is a large and peaceful beach with clear sand surrounded by a small cluster of traditional Portuguese houses. The beach has easy access and is wheelchair friendly. A very close car park and some good traditional cafés/restaurants makes Monte Clerigo the perfect destination for a relaxing day out. Frequented by families and surfers, most of the time it has big waves. Sandy bottom with some isolated and visible rocks at the center, it works with NE, E, SE, S winds. Arrifana is a 4kms drive from Onda Vicentina. 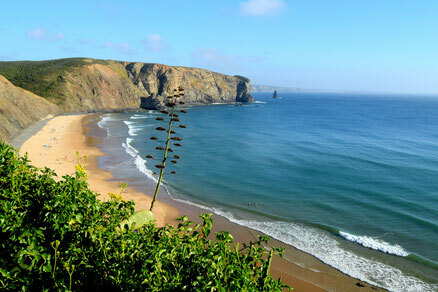 Surrounded by stunning cliffs, Arrifana is a blue flag beach visited by surfers and body boarders all year round. During the summer time it is a very popular beach for everyone who loves beach life. 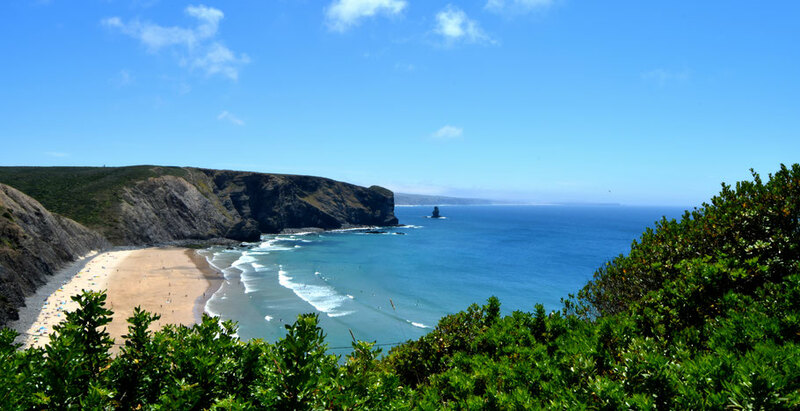 Being the only beach on the west coast facing south west, it works with N/NW winds and is usually recommended for beginners as it offers smaller waves compared to the other beaches nearby.